So, first things first (or last things first, I suppose), the Liebster Award logo. Now, 11 facts about myself. I can’t promise that all of these will be interesting, but I can promise that they will all be true! 1. My favourite food is potatoes. My first choice would always be mashed potatoes, but I’m also a big fan of chips (particularly from McDonalds). 2. My second favourite food is steak. I am gradually eating rarer and rarer steaks – I used to be a well-done kinda-gal but I’ve progressed to medium. I might one day make it to rare. 3. Moving on from my favourite foods, I adore Sophie Kinsella’s Shopoholic series. Actually, I really like all books by her. In my final year of an English degree, something funny, easy-to-read and engaging is just what I need so I’m crossing my fingers for her next book to come out soon. 4. I could quite happily drink G&Ts with my cereal for breakfast. 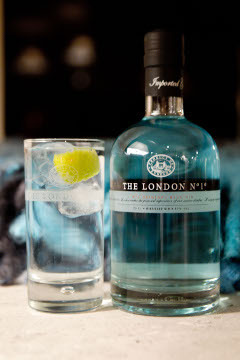 Thinking about it, I’d probably be happy using gin instead of milk. 5. People who randomly stop walking in the middle of the street make me irrationally angry. 6. I’d like to have a ‘style’ but I am too comfortable in jeans, cardigans and, more often than not, slippers. 7. There are numerous things I want to achieve, like playing guitar, playing the piano, speaking French, speaking Spanish, making pastries, understand photography, the list goes on and on. 8. I hope to one day have a home with floor to ceiling books shelves that look arty but are filled with books that I have actually read. I’ve already started on my library collection and you’ll be pleased to know that it’s developing very nicely! 9. August is my least favourite month. 10. I hate energy efficient bulbs because while they may be efficient in terms of energy usage, they are completely inefficient in their ability to light up a room when you need it to be lit. 11. One day, I will finish writing a novel. And it will be worth reading … I hope! Righty. On to my questions form Catherine. Anywhere else? Because anywhere would always be London. But if it had to be somewhere different then I’d love to try out New York. Normally AOL for my e-mails. Sometimes Facebook. Sometimes other blogs. Steak and mash potato (see above!) from Gordon Ramsay’s Maze Grill. It was a surprise birthday meal which made it even more enjoyable. Writing. Definitely. If I’m ever famous, I hope it’s for the brilliant novel that I’m yet to write. Moving further into London. Although I’m excited and nervous in equal measure at the moment. Both Vampire Diaries and Grey’s Anatomy. 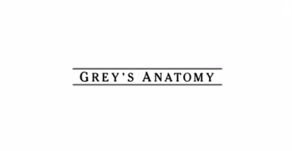 I’ve followed The Vampire Diaries since the beginning but I’ve only started watching Grey’s Anatomy so Season 9 is my first! Embarassingly, the first one that came to mind was Akon’s “So Lonely”. We listened to it on repeat on a school coach ride. The second song that came to mind was The Kook’s “She Moves in Her Own Way” which was also played a lot on that trip. Oooh difficult one! 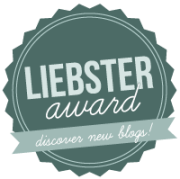 I learnt that there are Liebster Awards for bloggers! The Hunger Games. Although this might be because I watched the film before I read the book! 19th. I hadn’t really planned anything so it was wonderfully relaxing with steak and cocktails in the evening! And finally, 11 other blogs and 11 other questions. 2. What is your single, most important possession. 3. Describe your very first memory. This entry was posted in The Basics and tagged Gordon Ramsay, Hunger Games, Liebster Award, London, McDonalds, Vampire Diaries. Hehe thanks for playing along! Now I’m hungry…think 10am is too early for steak?? I’m such a Shopaholic fan as well (when I was going through my hotmail emails to find that fwd chain thing I came across one deploring my friend for not lending me the second and third as well as the first bc I wanted more!) Also now have Akon in my head. Hope you’re enjoying St Petersberg, I’m going to Moscow in a couple of weeks! Hmmm I reckon 10 am might be a little early!! Sophie Kinsella has a new book out soon (http://www.sophiekinsella.co.uk/) although sadly it’s not a Shopaholic one!! Hi Lizzy, thanks for your nomination. Here’s the answers to your questions. Ah fantastic – I’ll have a look now! Brilliant – I’ll have a look now!